Two organizations received a donation from the San Pedro Tourism Guide Association. The Tourism Police Unit of the San Pedro Police Formation and the San Pedro Lions Club were presented with the donation by the Chairman of the SPTGA Phillip “Billy” Leslie on Friday January 6th, 2012. The San Pedro Lions Club received $1,000.00 for the Lions Mosquito Coast Park dock project. At hand to receive the donation was President of the San Pedro Lions Club, Marina Kay. 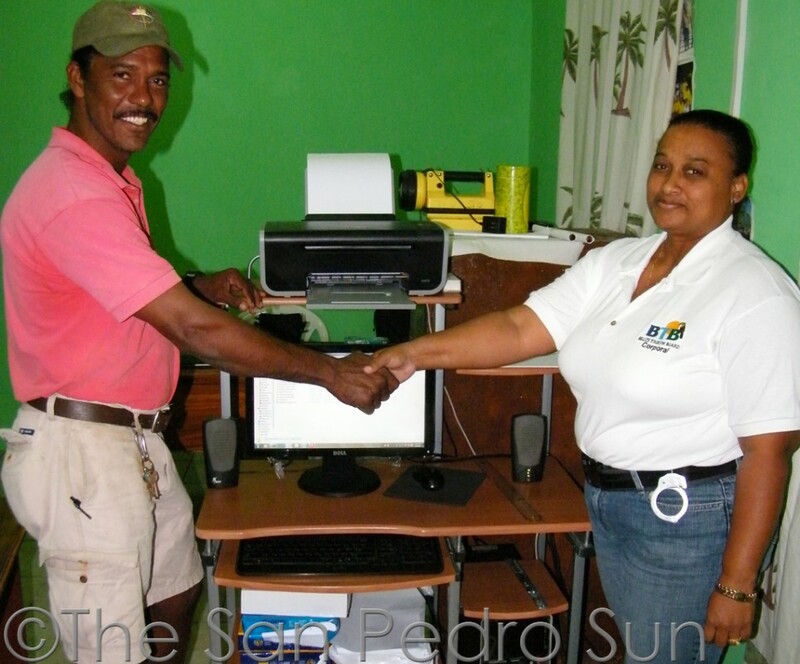 The Tourism Police Unit in San Pedro received a computer desk and a split AC unit totaling $1500.00. 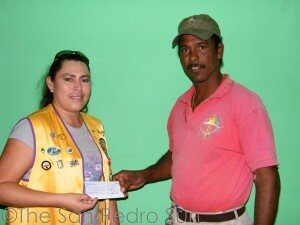 At hand to receive the donation was Corporal Sharmene Young who is the head of the Tourism Police Unit in San Pedro Town and Caye Caulker Village. Both Present Kay and Corporal Young told The San Pedro Sun that the donation will go a long way and they also took the opportunity to thanked Leslie and the SPTGA for the donation. The SPTGA has 65 members.